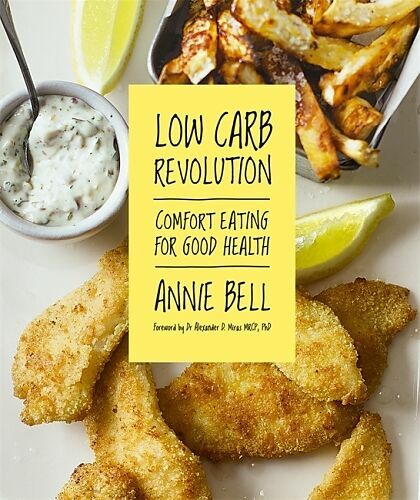 Annie Bell was a cookery and food contributor for Vogue and then the Independent. She has been principal cookery writer on the Mail on Sunday's YOU magazine for many years, and 10 years ago won the Guild of Food Writers' Journalist of the Year. Her previous books include the Gorgeous series, Soup Glorious Soup, The Picnic Cookbook and Annie Bell's Baking Bible, which was nominated for an Andre Simon Book Award in 2013. Includes 120 innovative low carbohydrate recipes, with colour photography throughout. Reducing carbohydrate is a proven way of losing weight, and Bell approaches the diet as a food lover and passionate cook. Some of the dishes are healthy, low carb versions of traditional favourites, and diet revolves around chicken, salmon, shellfish and fresh, seasonal vegetables. Bell's previous books have sold more than 450,000 copies. Adopting a low carb diet doesn't mean you have to deprive yourself of delicious food.